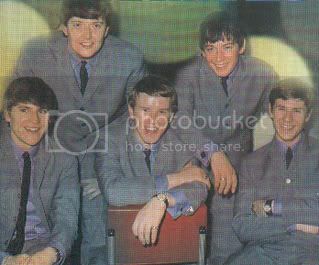 At the start of 1962, the Animals were known as the Alan Price (Rhythm and Blues) Combo. The band, led by keyboardist Alan Price, had a good sound but were lacking something. As if on cue, they are joined by soulful singer Eric Burdon. By the time the band is able to establish a regular gig (just weeks later) - a residency at Newcastle's "Club a GoGo!" on Percy Street, the band make quite a mark. Thanks to their wild late performances the band would earn it's name: "The Animals."